This June, Jim and I took the trip of a lifetime to Thailand, Cambodia and Bali. I was beyond excited to go since I'd never been to that part of the world, and because it's where Jim made the decision to propose to me five years ago! Mapping the trip out was a little daunting at first, but once we booked the return flights to Bangkok, it forced us to figure out the inter-country flights and hotels. We reached out to friends for recommendations and scoured travel sites and Lonely Planet. You could literally stay in any one of those countries for months, but with our work schedules, we only had three weeks to see it all. We opted for a week and a half in Thailand, a few days to see Angkor Wat in Cambodia, and a little over a week in Bali. It was just the right amount of adventure and relaxing with massages and incredible food along the way. Our first stop after arriving in Bangkok was Railay Beach in Krabi (which is on the southwest coast of Thailand). It's incredibly hot and humid in that part of Thailand in the summer, but as long as you have water nearby, it's bearable (a cocktail in your hand is also a welcome relief!). 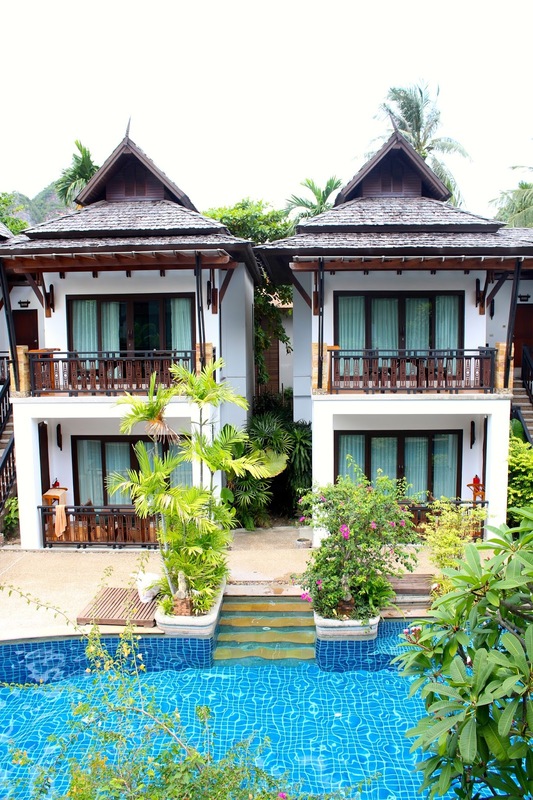 We stayed in a lovely bungalow at the Railay Village Resort & Spa right on the beach, and it was beautiful. 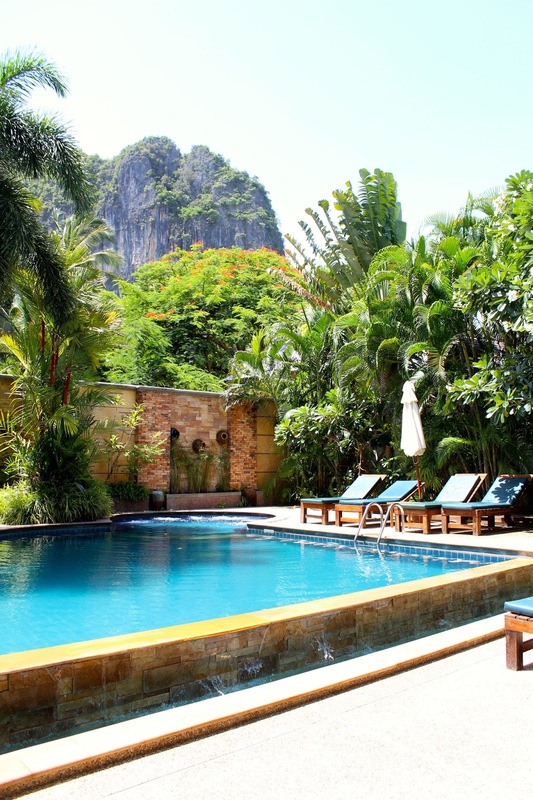 They have a fabulous spa, where I got my first Thai massage and had the most delicious sweet lemongrass tea after my treatment. I was on cloud nine the rest of the day. We also couldn't get enough of the white sand beach, steep, lush cliffs and the long-tail boats decorated with colorful fabrics. 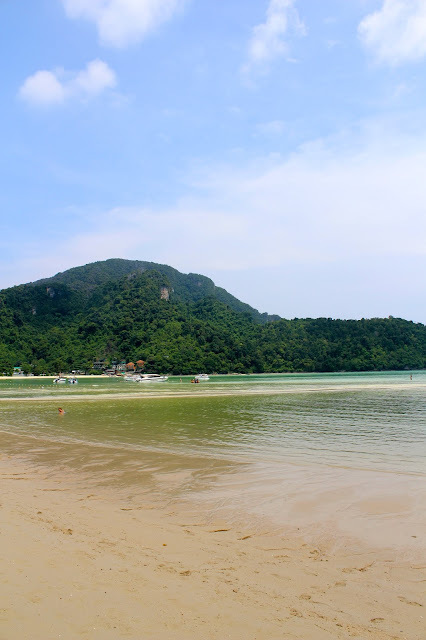 The one drawback to Railay Bay is that since it's small, there aren't many options for restaurants (cheap and sometimes questionable environments or right on the beach and overpriced). From Railay Beach, we caught a boat to Ko Phi Phi, the gorgeous tiny island where "The Beach" was filmed. It's a backpacker's paradise, but is also lovely for couples looking to relax and sip cocktails at beachside bars while watching the sunset. We stayed in the main part of the island so we could be close to all of the action and to meet up with some of our friends coming from London (a lot of people opt to stay in the northeast part of the island which is a quick 15 minute boat ride away). We loved the cheap massages (can't go wrong with daily $4/hour treatments), banana smoothies from Unni's and green papaya salad at Papaya (you must try it). We also ate at Anna's several times...they had great Thai and European food (faves included Red Curry and Massaman Curry). 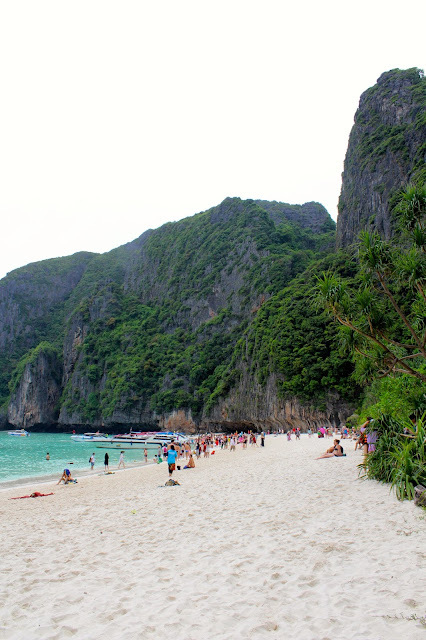 Our favorite memory was taking our own long-tail boat out to Maya Beach and snorkeling in little coves along the way. That's when I really started to unwind and feel like I could be on vacation forever. 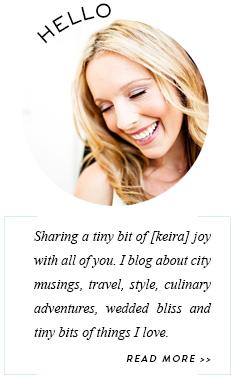 Next up, I'll share details from our adventures in Chiang Mai!